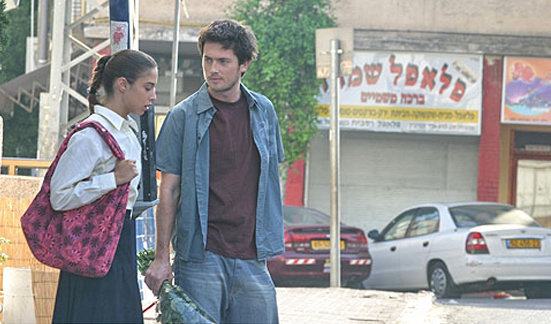 This smartly written, superbly acted television drama series was the most watched program in Israeli television history and won seven Ophir Awards, the Israeli equivalent of the Emmys. A Touch Away is a contemporary Romeo and Juliet story which centres on two neighbouring families in the Orthodox suburb of Bnei Barak: one ultra orthodox and the other secular Russian. Beautiful, religious Rochele is about to enter into an arranged marriage with a wealthy young bridegroom from the right family. But then she meets handsome Zorik from Russia who moves into the neighbouring apartment while awaiting the arrival of his secular family from Russia. The forbidden love that soon develops between the young neighbours threatens the two families’ deeply rooted cultural assumptions and beliefs. The film is both entertaining and a realistic reflection of the ongoing social challenges facing today’s increasingly diverse Israeli society.